Transportation Costs > How Much Does It Cost To Wrap a Car? Wrapping a car, often with a vinyl graphic or decal, is a cheaper way to change the color and the design on your vehicle with ease. 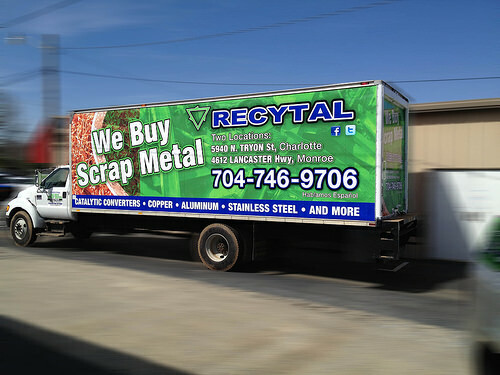 Whether it’s a wrap to advertise your business or a paint color switch, if it can be designed on the computer, it can be turned into a wrap for your car. With a car wrap, there are two types often available: a partial wrap, which is a wrap that can apply to a certain section of the vehicle such as the hood or doors, and a full wrap, which will wrap the entire car. A partial wrap can cost $750 to $2,000 while a full wrap can cost $2,000 to as much as $5,000. The costs can go up if a customized design were needed. The cost will depend on the type of wrap, the size of your car, if you need a customized design and the company you choose. FirstQuarterFinance.com does a great job breaking down the costs of wrapping a truck. According to them, the costs, if you were to do it on your own, could cost $800 to $3,1500; however, if you were to have a professional do it, the costs could be anywhere from as little as $2,500 to more than $6,000. TKO Graphix, a vehicle wrap professional company located in Indiana, claimed the costs to wrap a car could be anywhere between $1,500 and $4,000, but there are many variables, including the need for a wrap or decal, the size, number of vehicles and if you need a design. Sunrise Signs, another professional located in New Jersey, stated graphics start at $500, partial wraps start at $1,000 and a full vehicle wrap will start at $1,800. One of the biggest factors will be the size of your vehicle. Most shops, from what we have researched, will charge by the square foot. In other words, a small two-door car will be much less than a full-sized SUV since it has less space to wrap. Further, aside from the size, much more labor will be involved with a larger sized car. As mentioned, there are two types of wraps available — a partial wrap or full wrap. A partial wrap can significantly cut the costs since it will only cover a portion of a car. The designs being printed on the vinyl can affect the costs quite a bit as well. For example, a solid print with no logos or anything else can be much less than a print with stripes, a logo, lettering and images. On top of this, if you were to need a custom graphic designer, then you will need to pay their hourly rate as well. Like any professional service, one installer can be much more than another. Why? The better their reputation is, the higher the demand will be, effectively increasing the costs. The same can be said about a nice, five-star steak dinner; you will get what you pay for. When choosing an installer, always ask about the materials they are using, and if possible, try to see a previous job in person to see how the wrap looks like up close. The most common types of vinyl can include carbon fiber, chrome and matte, and the most popular brand installers tend to use includes 3M, Avery Dennison, Arlon and Oracal. Depending on the finish and manufacturer you or the installer chooses, the costs can greatly vary. For instance, brushed and chrome finishes are much more expensive and can be harder to install. Before the wrap is applied, the shop will provide a “proof” to show you exactly what the wrap is going to look like on your vehicle. During this time, they will take accurate measurements, design the graphics and create a mockup using your vehicle on the computer. Once approved, the process will start. When generated, the wraps will be printed using a vinyl sheet and then will be laminated to protect it from the UV rays and any abrasions. Once laminated, the wrap will be affixed to the car’s body in the designated area. Typical jobs take no more than two weeks to complete unless it’s an in-demand professional who has a larger-than-average backlog. Depending on the company, some may include the professional design, but regardless of who you choose, you will be free to decide whether you want it to be designed or customized by the shop’s designer or simply design it on your own. A good wrap will last at least three to 10 years without peeling or fading, and this will greatly depend on the vinyl brand you’re applying to your car. Customized designs and complex vehicles, such as a Hummer, for example, can cost more than the standard stock designs. If you want to customize the design and hire a professional designer, it will cost more. These costs can depend on how long it will take the graphic designer to create the graphic. Wrapping the windows can often be an additional cost to consider. Some companies often want to fix small dings or scratches on the body of the car before the wrap is applied. This may cost extra, but it will also ensure that the wrap will adhere properly. Try to get as many quotes as possible. While you don’t want to focus on the price, be sure to look at the online reviews, reputation and how long they have been in business. If you’re able to, try to create the graphic on your own to avoid paying a graphic designer.